Orv Franchuk Joins the Edmonton Prospects! Edmonton (AB) – Edmonton Prospects owner Pat Cassidy is adding fuel to the drive for a stronger operation and a league pennant in 2014. Baseball heavyweight and Edmonton Sports Hall of Famer, Orv Franchuk, is joining the organization as coach and special advisor, effective May 1st. Franchuk has nearly 40 years of professional baseball experience as a manager, coach, scout and hitting coordinator with the Cincinnati Reds, Anaheim Angels, Oakland Athletics, Boston Red Sox, Houston Astros, San Diego Padres and Los Angeles Dodgers organizations. He sports a World Series ring from his post with the Boston Red Sox in 2004 and seven minor league championships. In high performance amateur competition, his baseball career includes coach of the Canadian National Team at the 2007 World Baseball Cup, the 1981 Intercontinental Cup, and the 1978 Amateur World Series. Franchuk was inducted into the Edmonton Sports Hall of Fame in 2008. He earned his Masters Degree in Education from Long Beach State and taught in the Edmonton Public School system for 24 years before making the transition to a full-time baseball career. “Getting back to Edmonton brings me full circle. I was one of the first kids from this region to get a chance to play baseball in the U.S. college system back in the 1960s and that was the first step to a 37-year career in the sport. Edmonton has become a hotbed of baseball talent since then and I’m looking forward to working with Pat, Ray and others in the operation to build the Edmonton Prospects franchise this coming season,” said Franchuk. A summer collegiate baseball program, the Edmonton Prospects play a 46-game schedule in the [11-team] Western Major Baseball League. The Prospects open their 2014 season on May 30th with a four-game home stand, three against the Lethbridge Bulls and one against the Okotoks Dawgs. Games start at 7:05 p.m. at TELUS Field. 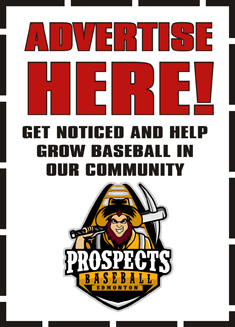 For a full Edmonton Prospects season schedule, sponsorship and volunteer opportunities, go to www.prospectsbaseballclub.com. For details of the Western Major Baseball League go to www.wmbl.ca. Orv and his wife Susan make their home in Meridian, Idaho. Prospects Bring Baseball Back to Telus Field Again!